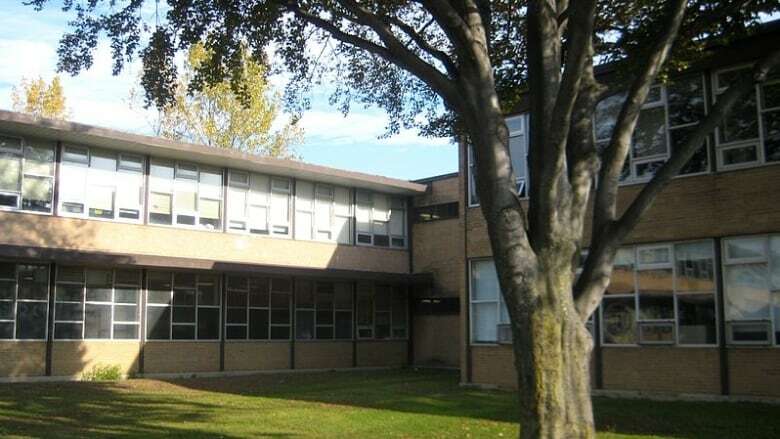 A Toronto school principal facing sharp criticism for keeping a list of black students quietly announced she will be transferring schools, but students whose names were on that list are calling for a stiffer punishment. Students at Etobicoke School of the Arts say their principal created a 'black list' to racially profile them. Peggy Aitchison, the principal at Etobicoke School of the Arts, made the announcement on Tuesday evening via email while graduating students were celebrating their prom. Aitchison outraged parents and students by compiling a list of black students and circulating it to teachers in November of 2017. In February, a teacher at the school took a picture of the list and sent it to students, sparking serious questions. Marlee Sansom, a Grade 12 student and the valedictorian of this year's graduating class, said Aitchison's defence — that the list was intended to address "achievement gaps" — doesn't add up. "At our school, black students exceed performance expectations, and because it's not a diverse school they have to work twice as hard," she told CBC Toronto. Sansom, along with three others, have been demanding to know why Aitchison made the list when there was no previous indication that race-based performance gaps existed at the Etobicoke school. They also suggest Aitchison should be fired for her actions, rather than be moved to another school. Sansom points to the school's rigorous audition process as proof of the school's commitment to a merit-based admissions protocol. For her, students that have been admitted have already demonstrated the competence necessary for success. "If you look at the four of us, all of our averages are above 92 per cent," she said. 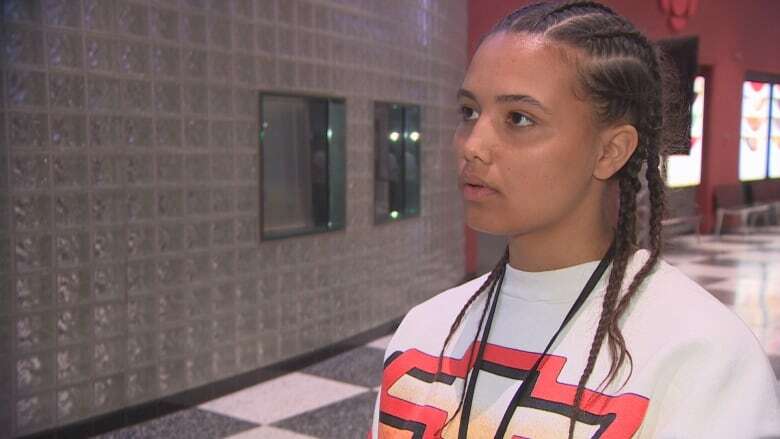 Temple Marucci-Campbell is among the group of high-achieving Grade 12 students calling for a stronger penalty for the principal. "I think that her being transferred isn't enough, it's just giving her more students to marginalize," Marucci-Campbell said. "This was just the tipping point." Students and parents who have seen the list — which many now call the "black list" — say Aitchison used the school's yearbook to identify black students. Aitchison's list also allegedly used ethnic signifiers such as "African" and "Caribbean" to describe students, also separating both "black" and "mixed race" students on the list as well. Marucci-Campbell says the list included no indicators of academic standing or success. For Marucci-Campbell, who is of mixed-race black background, the incident complicates an already challenging school experience for black students. "In my case, I've had people say 'you're not black enough for this, you're not white enough for that,' so having someone in a position of power doing that to students is very traumatic," she said. Marucci-Campbell also cites a heightening of race-related tension at Etobicoke School of the Arts with the arrival of Aitchison as principal. She calls the issues experienced under Aitchison, "the catalyst to help bring this particular issue to light." 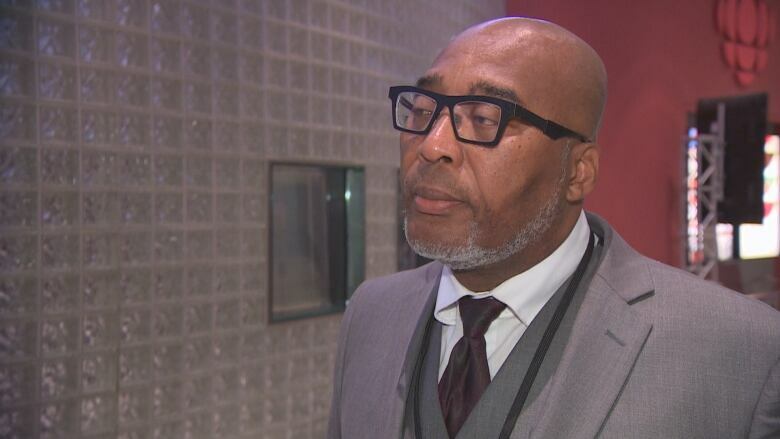 John Malloy, the Director of Education at the Toronto District School Board (TDSB), said there are efforts underway to ensure that race doesn't affect student achievement or opportunity. "We've been asked to really look at our process, and we have taken that seriously over the last year," he told CBC Radio's Metro Morning. However, Malloy disavows Aitchison's list. "Unfortunately this strategy that was used was not a strategy that we support," he said. In a June 12 email to parents, Aitchison addressed what she called "understandable concerns from students." In the email she also congratulates students "for stepping forward" and apologizes for her role in what had happened. The statement reads, in part: "upon reflection and discussion with others, I recognized that this was a limited, flawed, and ultimately inappropriate approach to identifying gaps in supports and so, that very same day, I retracted that compilation that was based solely on perceptions." George Brown, whose 18-year-old son, Noah, was included in the list, only found out about its contents following a June 18 town hall meeting with Aitchison and TDSB staff. Brown also happens to be a paralegal. At the meeting, called in response to mounting pressure from students, he says both the school and the TDSB made unsatisfactory attempts at reconciling the issue. For example, Aitchison commenced her apology by stating she had "black friends," he said. Brown says he's now in the process of filing a human rights claim against Aitchison and the TDSB over the list. Brown also says Aitchison may have been involved in similar incidents during her time at the TDSB — he also notes that previous students have alleged similar lists were compiled at the Etobicoke School of the Arts a few years ago. "The more we looked into her background, the more we find out there's other issues that should've given the board some indication that there's something wrong with this person's vision for the people that she's in charge of," he said. "It all points to the fact that her moral authority to lead had been compromised." Upon hearing of Aitchison's pending transfer, Brown says it's not enough. "I think transferring her to another school doesn't fix the problem — I don't think this person can change." The TDSB has had issues with diversity in the past. A 2017 University of Toronto study found the TDSB's art schools are home to nearly twice as many white, wealthy students when compared to schools around the city. According to the study, "researchers say their findings show Toronto's publicly-funded arts schools are remarkably homogeneous when compared with the student demographics across the TDSB." Additionally, the study shows that an overwhelming number of TDSB art school students come from just a select number of the city's feeder schools. Marucci-Campbell calls her time at school "a bit isolating." She says initiatives like the annual Black History Month show have helped the community grow, but there's no denying "there's still hostility toward Black students." 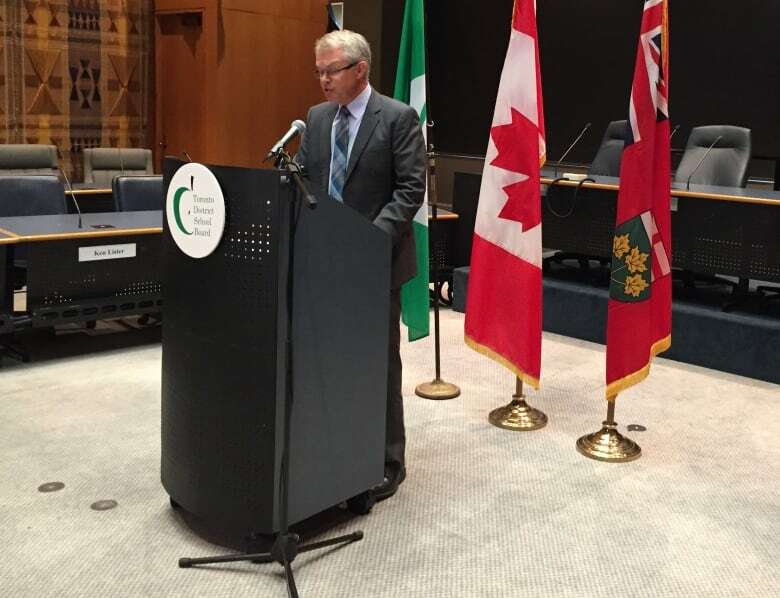 Malloy says the TDSB is actively engaged in making schools, specifically the board's art schools, more accessible to a diverse range of students. "We've been hearing for quite some time, and the data suggests it: we have to change," said Malloy.